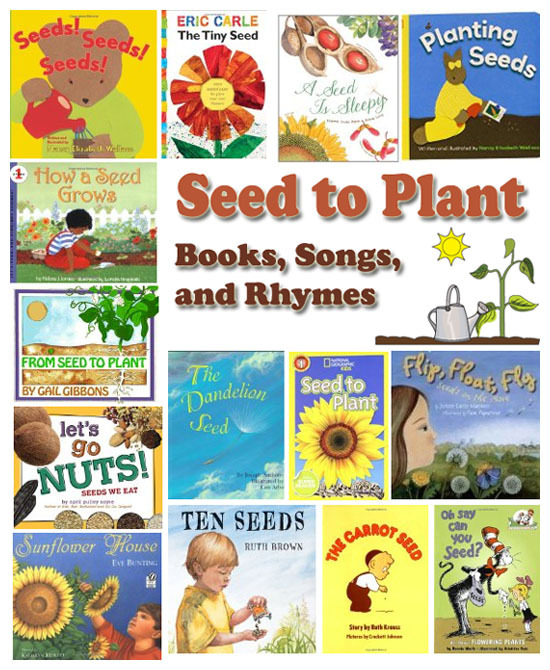 Books, rhymes, and songs are a perfect way for young children to learn about seeds, what plants need to grow, and which kinds of seeds we eat. 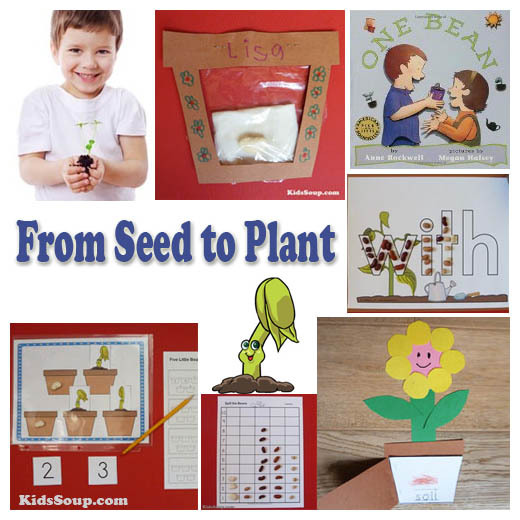 Teach the letter S for Seeds and Sunflower, or B for Beans, and let children explore all kind of seeds in your preschool and kindergarten settings. Enjoy our collection of both fiction and non-fiction seed to plant books. Followed by the warm sun shining bright. And push through the earth and grow, grow, grow. And little flowers pop out to look at the sun. And soon you'll have some yummy beans to eat. Some are like a ball.